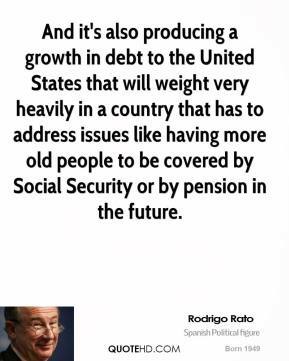 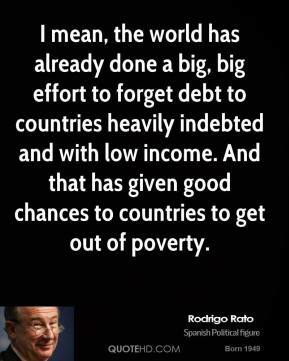 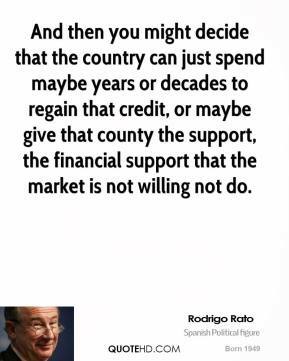 And it's also producing a growth in debt to the United States that will weight very heavily in a country that has to address issues like having more old people to be covered by Social Security or by pension in the future. 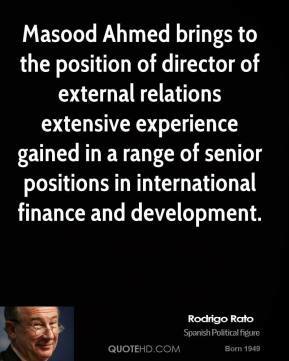 Masood Ahmed brings to the position of director of external relations extensive experience gained in a range of senior positions in international finance and development. 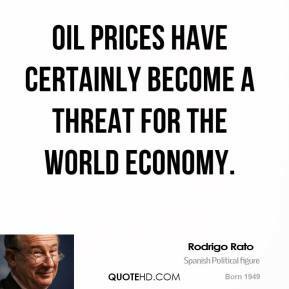 Oil prices have certainly become a threat for the world economy. 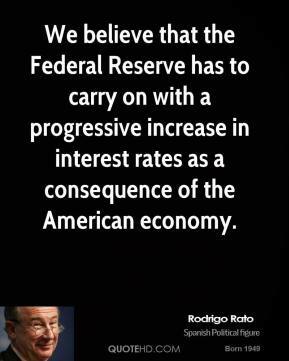 We believe that the Federal Reserve has to carry on with a progressive increase in interest rates as a consequence of the American economy. 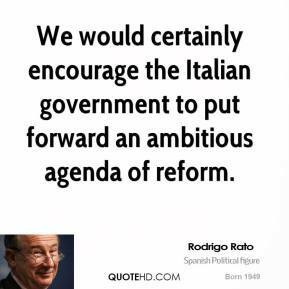 We would certainly encourage the Italian government to put forward an ambitious agenda of reform. 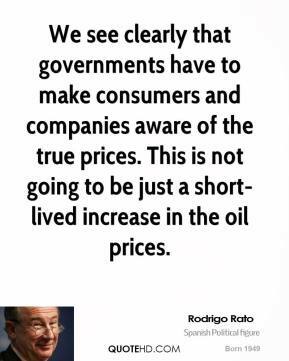 We see clearly that governments have to make consumers and companies aware of the true prices. 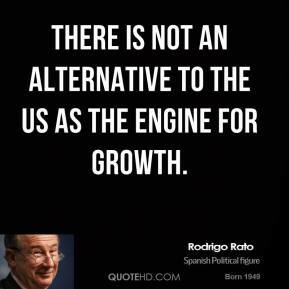 This is not going to be just a short-lived increase in the oil prices. 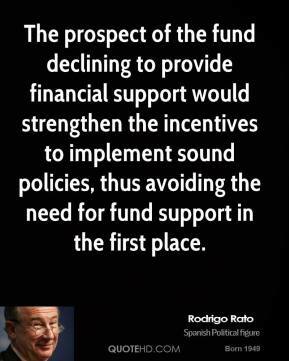 The prospect of the fund declining to provide financial support would strengthen the incentives to implement sound policies, thus avoiding the need for fund support in the first place. 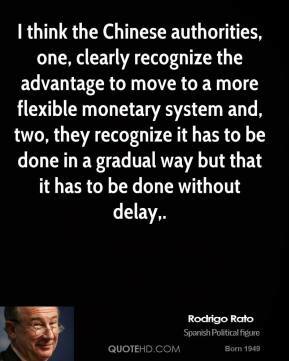 I think the Chinese authorities, one, clearly recognize the advantage to move to a more flexible monetary system and, two, they recognize it has to be done in a gradual way but that it has to be done without delay. 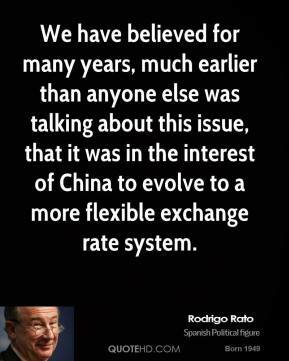 So we see clearly that the Indian government is moving in a path of reform that will allow the Indian economy to perform on a strong footing in future. 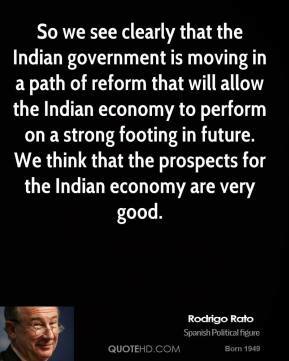 We think that the prospects for the Indian economy are very good. 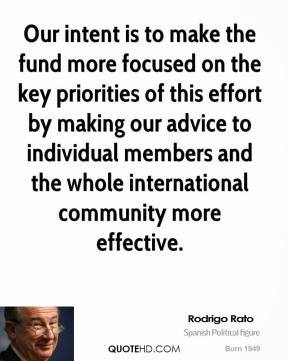 Our intent is to make the fund more focused on the key priorities of this effort by making our advice to individual members and the whole international community more effective. 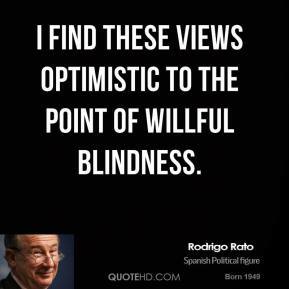 I find these views optimistic to the point of willful blindness. 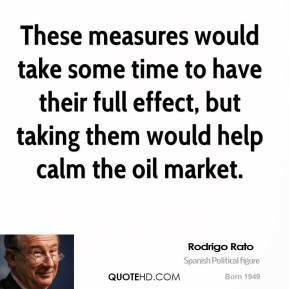 These measures would take some time to have their full effect, but taking them would help calm the oil market. 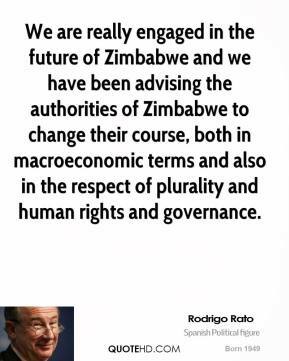 We are really engaged in the future of Zimbabwe and we have been advising the authorities of Zimbabwe to change their course, both in macroeconomic terms and also in the respect of plurality and human rights and governance.